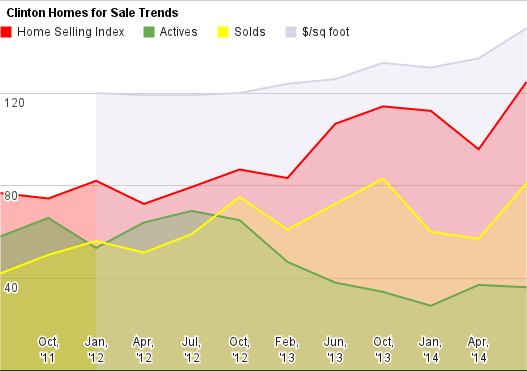 Although transaction volume has remained pretty steady, Home sellers have been shrinking. 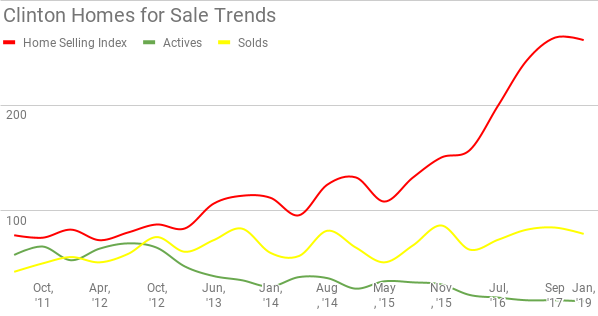 The market remains strong for sellers, and tough on buyers, in Clinton. 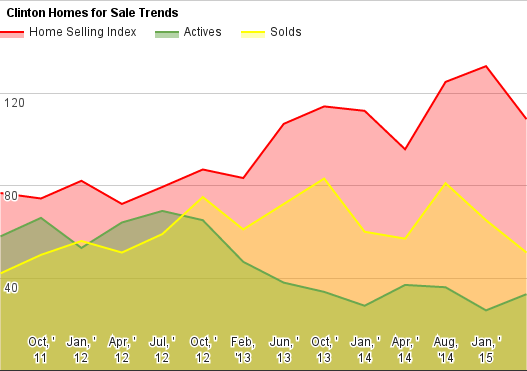 Clinton checks in with some strange price activity - as the data looks to really jump around. What can we make of it? Let's look at the headline numbers.